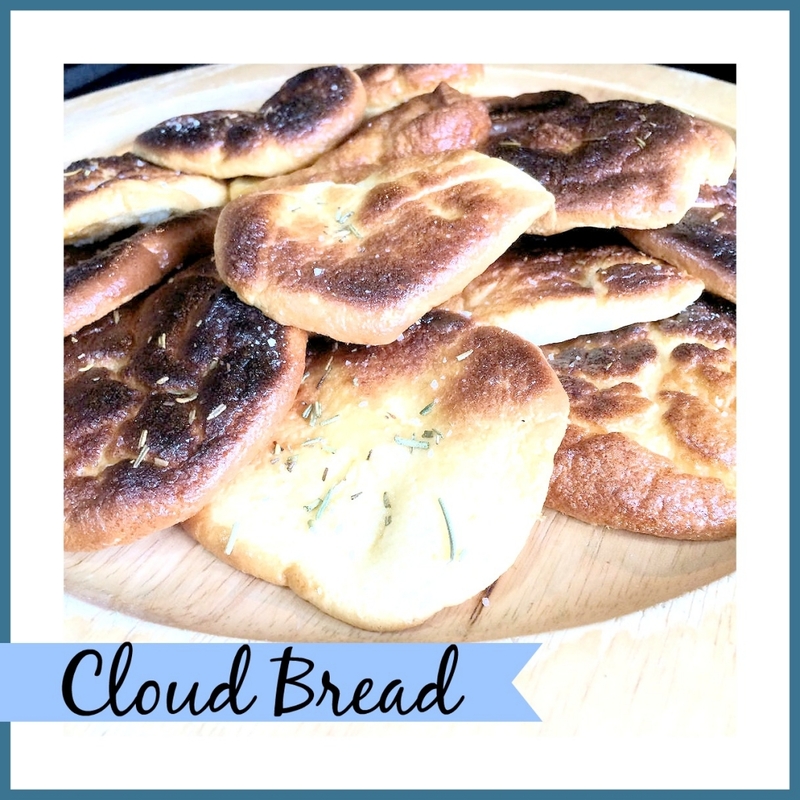 So Cloud Bread. I found this when looking for all things cloudy this month and this really intrigued me. Bread, what’s not to love??? Plus it’s practically carb and gluten free. So I thought I’d give it a whirl. 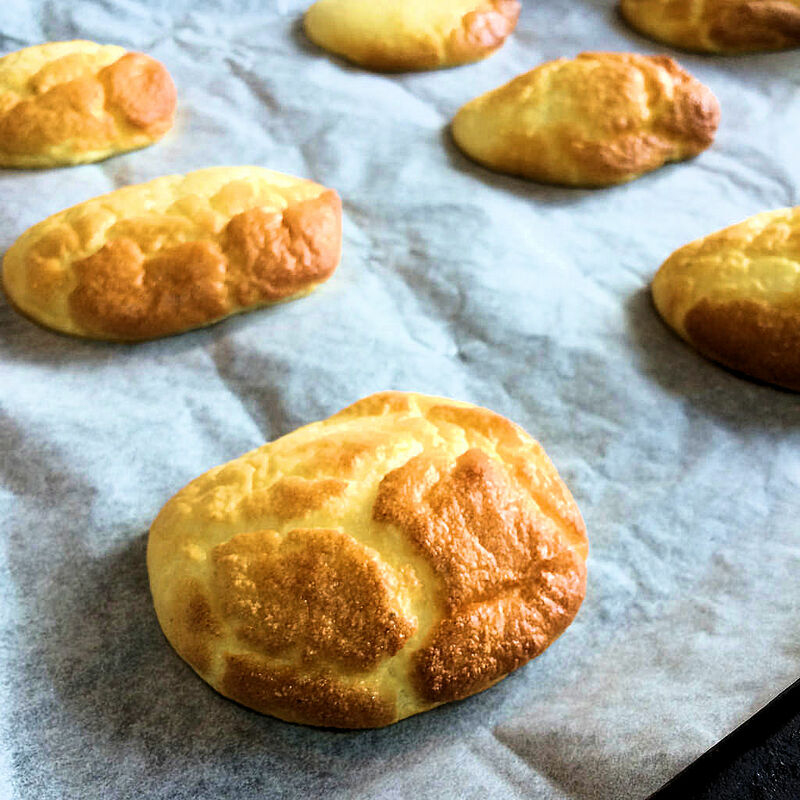 Preheat the oven to 150c / 300f – Prepare your baking trays with baking paper sheets. Separate the eggs. Mix the egg yolks and cream cheese until smooth. I did end up having to whisk to get the smooth consistency. In a second bowl, whisk the egg whites (with a clean whisk, not the one from the egg yolks) with the baking powder until lovely and thick so that you can form peaks. Now slowly fold in the egg yolk mixture with a metal spoon. Should still be nice and fluffy. Spoon the mixture on to the baking trays and bake for about 20 minutes. They should then look like this. 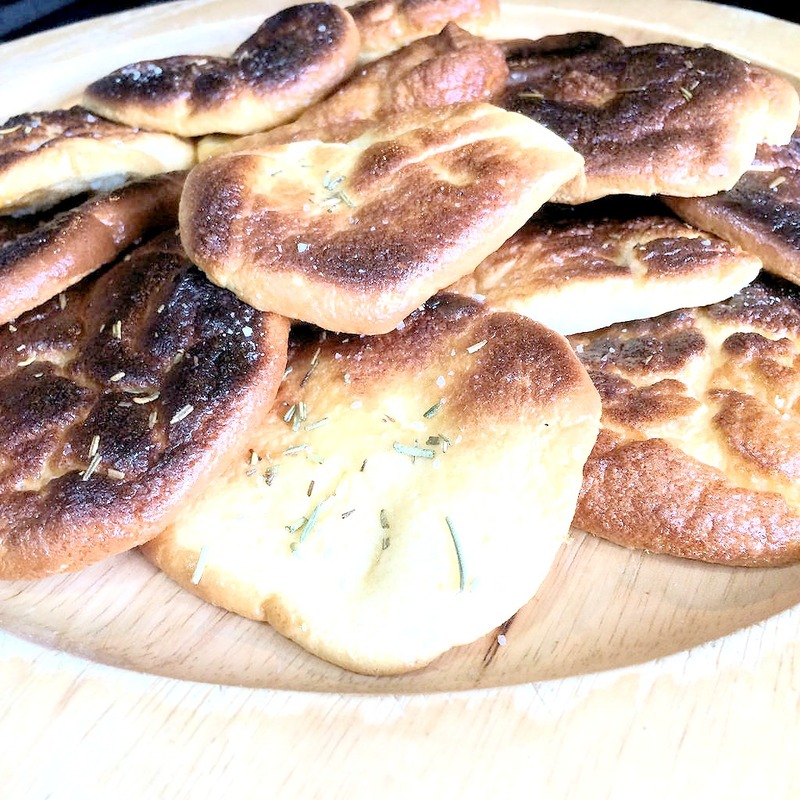 I then melted a little butter and brushed over the top of each one, sprinkled with a little sea salt and some rosemary and popped under the grill until golden. They were so fluffy!! Really light. They were a hit in our house. Not quite what I would call bread, but fun to make and fun to eat. We are going to try them sweet next time by mixing in a little honey with the yolk mixture and some grated lemon and sprinkling with sugar. It would also be fun to try them with a little sprinkling of cinnamon sugar. Let me know what you think if you give them a try.